School uniform season is officially in session! If your child is attending a school with a uniform policy, then you’ve no doubt received a supply list by now detailing appropriate wear for the upcoming school year. 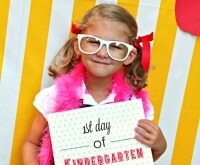 There are a few clear benefits of school uniforms: They make it simple to get your child dressed for the day, and they avoid “one-upmanship” that can permeate classrooms as kids show off clothes featuring a beloved character or designer label. But the reality is, school uniforms are also another out-of-pocket expense for most parents. When your child is wearing the same items day in and day out as opposed to selecting from a larger wardrobe pool, wear and tear will also happen that much more quickly. 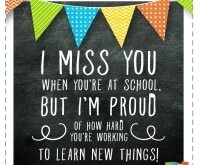 Plus, don’t forget about growth spurts! Those uniform pieces you buy at the start of the school year may very well not fit by the end of it. Don’t forget, if you have multiple children attending school with a uniform requirement, you’ll be spending that much more. On a positive note, more and more retailers are selling school uniforms than ever before – and they’re paying attention to what parents (and kids!) want with new styles and helpful design features. 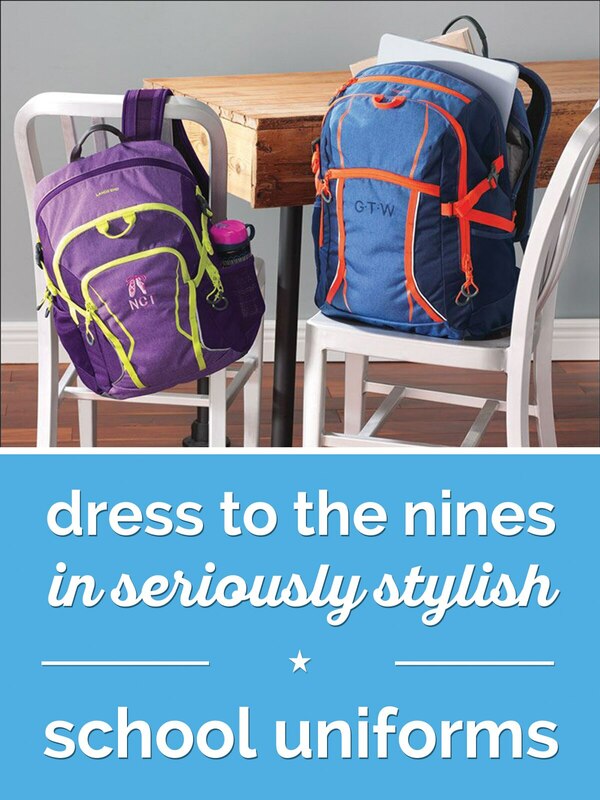 Here are a few of our favorite picks from Lands’ End to outfit your child for back to school. The polo is a school uniform staple that works with any outfit — paired with skirts or pants, under a jumper, layered with a cardigan, or worn with shorts or capris for warmer months. 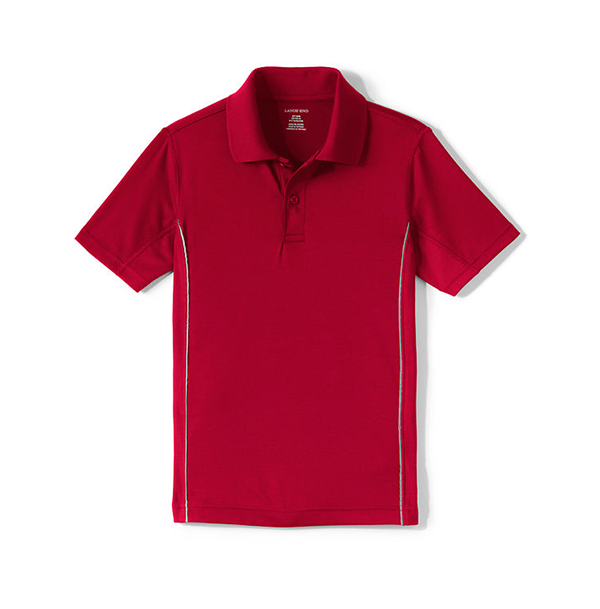 If you’re looking for a shirt with a little longer life, this breathable, combed cotton polo is a great pick. 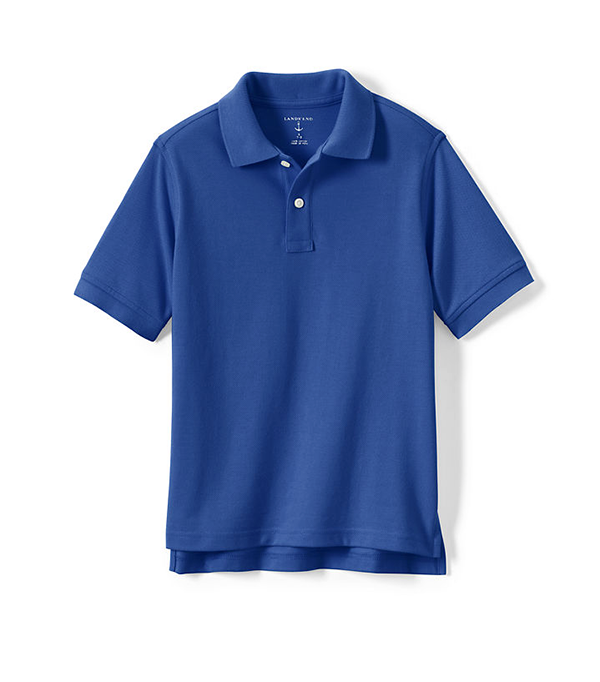 Designed to withstand weekly washes, this versatile polo also resists shrinkage, fading, and pilling. 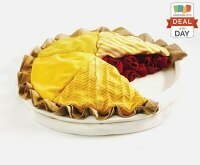 Want to dress things up a bit? 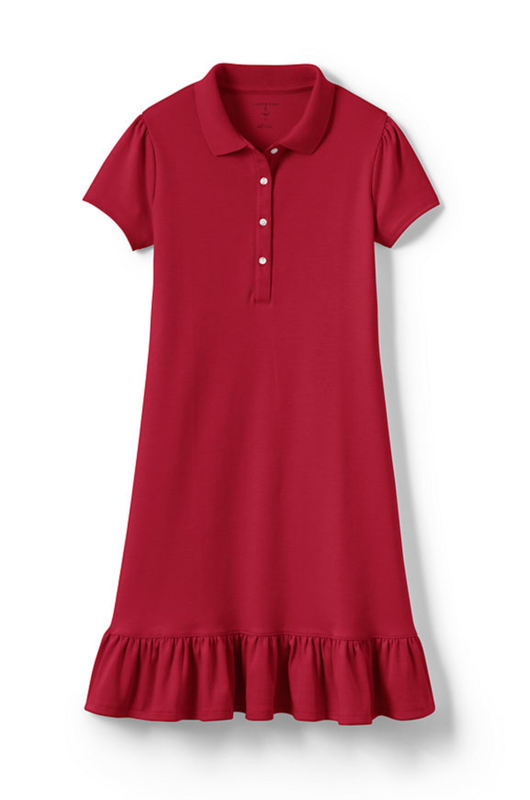 This slightly more girly polo features a rounded Peter Pan collar and slightly ruched sleeves with a shorter, flattering length. It also has secret seaming at the sides for a more feminine fit. If you want a polo that works for learning and play, this sporty option has some extra details like reflective accents, side vents, and UPF 50 protection. It’s also made from an antimicrobial, moisture-wicking material so he can work up a sweat on the playground, in the gym or wherever the school day takes him. In a perfect world, your child’s school uniform could also work for weekend and playwear, but keep in mind that’ll accelerate wear and tear. 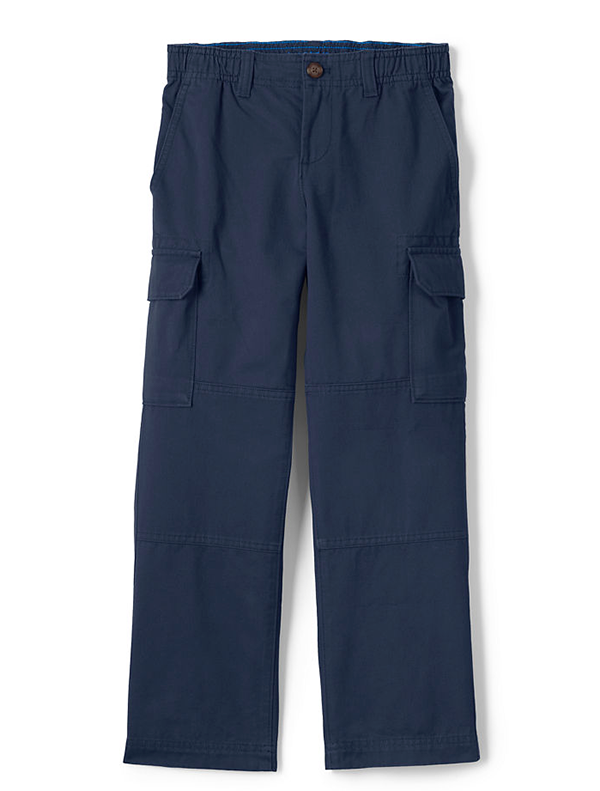 Lands’ End has sewn in a thin membrane into the knees of their pants to keep them from fraying, plus this cool pair of cargo pants are easy to pull on and off and have a looser, weekend-friendly fit — while still following the dress code. 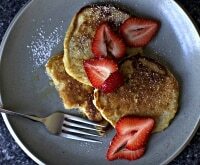 Want to get more bang for your buck? 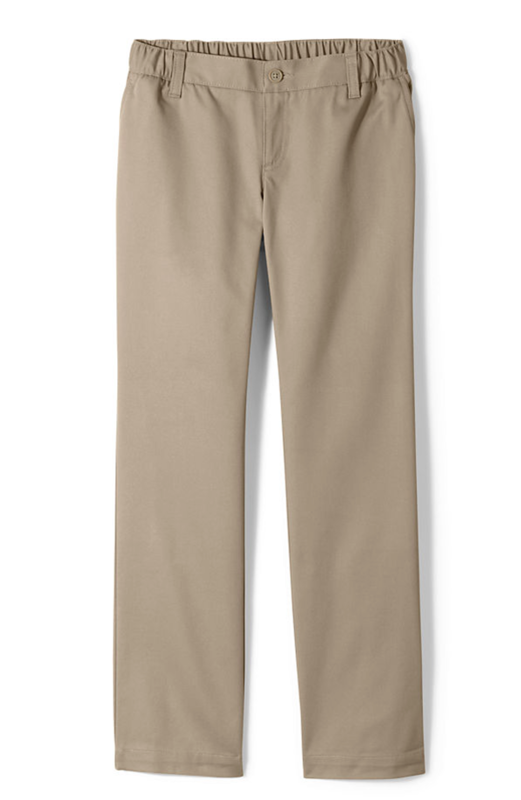 Dodge growth spurts by buying pants a size up with an elastic waist. It’ll still fit around her waist even when they’re a bit loose (when in doubt, add a belt), but they’ll also grow with your child as they grow in size over the year. 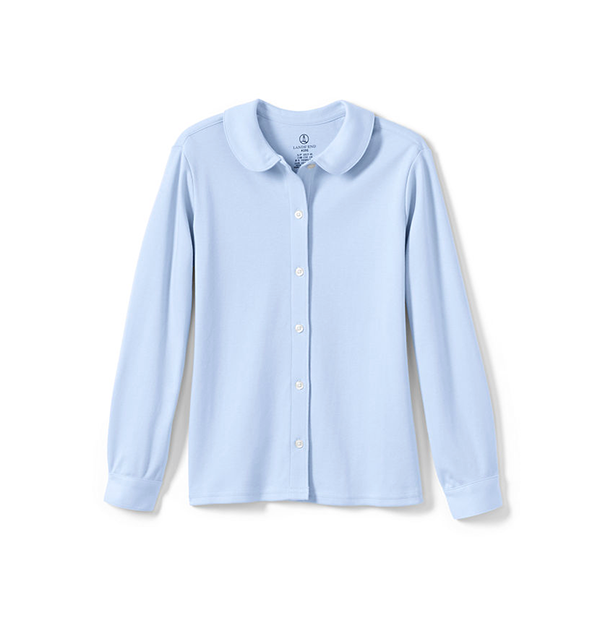 This tricky top may look like a standard issue button-down, but it’s decidedly more comfortable. 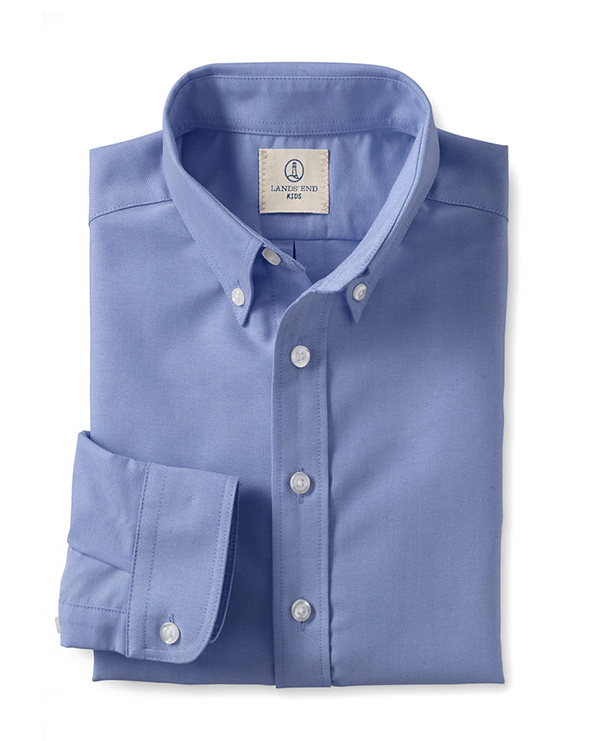 Made from a stretchy performance fabric, this sturdy shirt will move with your child, resist being worn down from regular washing, and features adjustable cuffs. School uniforms may look formal, but the kids wearing them are still kids – subject to spills and accidents aplenty. 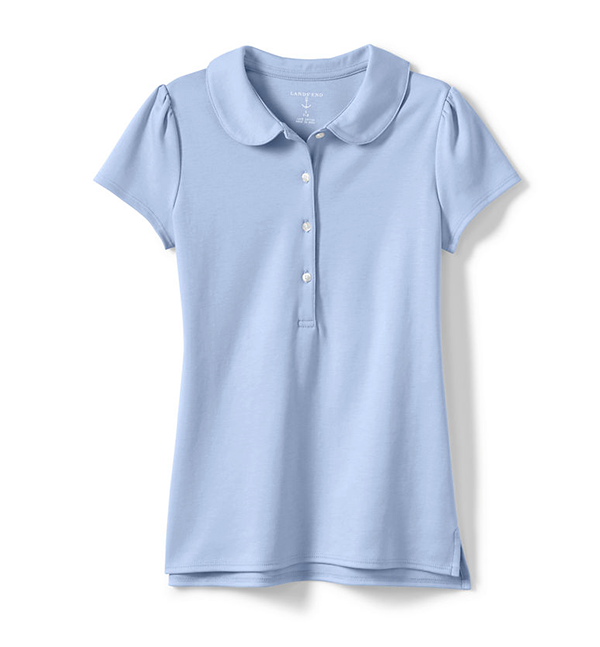 This no-iron cotton blend top is stain-resistant, making it easier than ever to keep them polished and prepped for school. Girls have the lucky advantage of more options when building out their school wardrobe, including skirts, dresses, and jumpers. If your daughter likes the look of a skirt but wants something more practical for playtime, consider a skort instead. It’s a happy medium with built-in shorts so she can move freely. 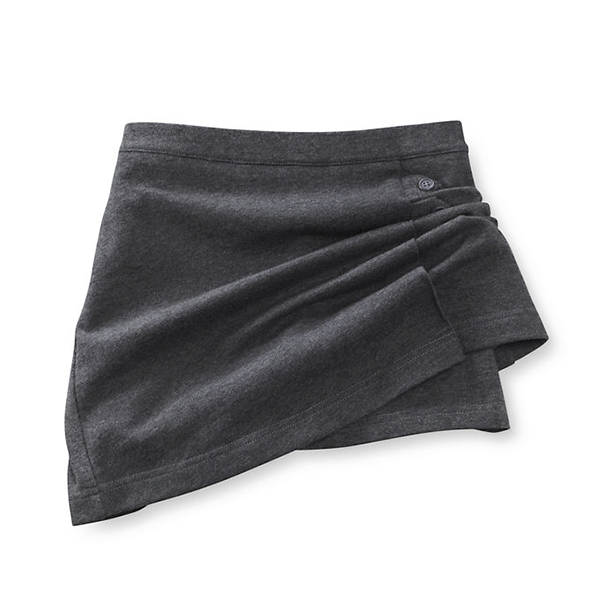 A little stretch can go a long way in making this skort work from September to June. 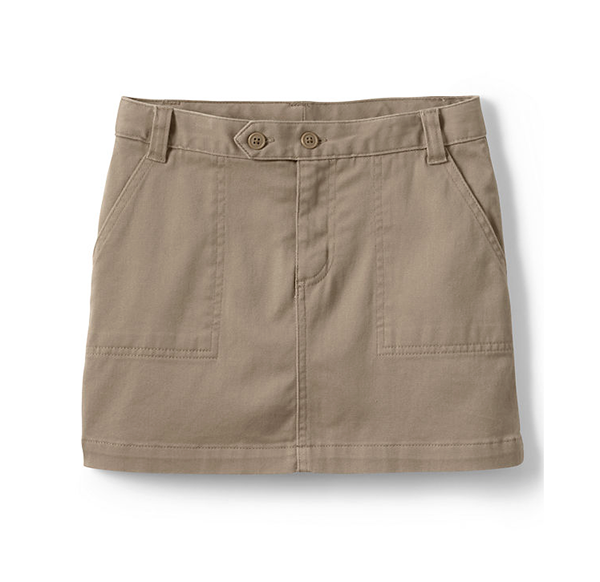 With an elastic waist or adjustable waistband (depending on the age you’re buying for), this safari-inspired khaki skirt offers a bit of stretch to keep up with an active child. 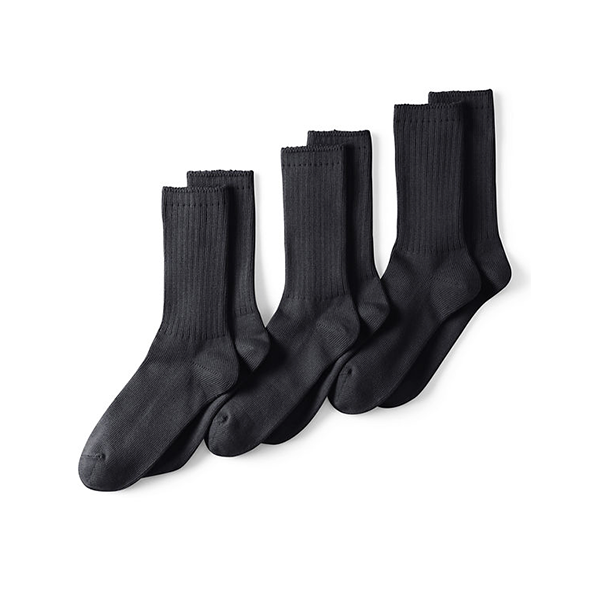 School uniforms allow for a fair bit of mixing and matching, which helps reduce wear and tear – but socks are something they’ll pull on almost every day. With a smooth seamless toe for extra comfort and a sag-resistant fabrication, this uniform staple is given a serious upgrade. 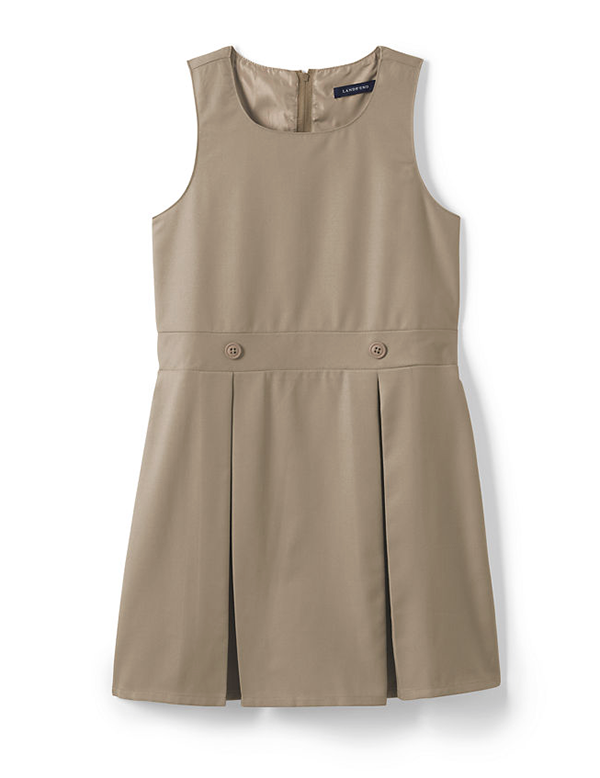 A dress is the simplest way to get your child to embrace the uniform rules — it’s one piece, easy to throw on, and actually kind of cute. Up the fun factor by adding a matching hair accessory in a bright color. 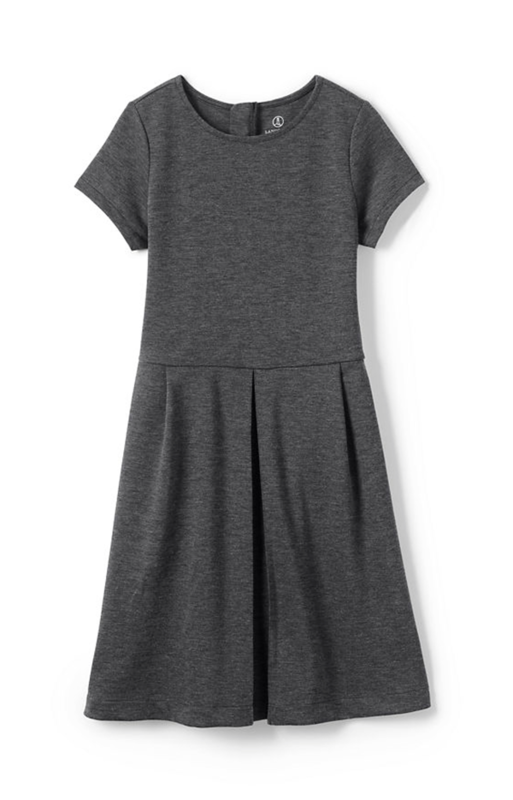 Not only does this fun school dress look a bit different, it’ll save you headaches, too. 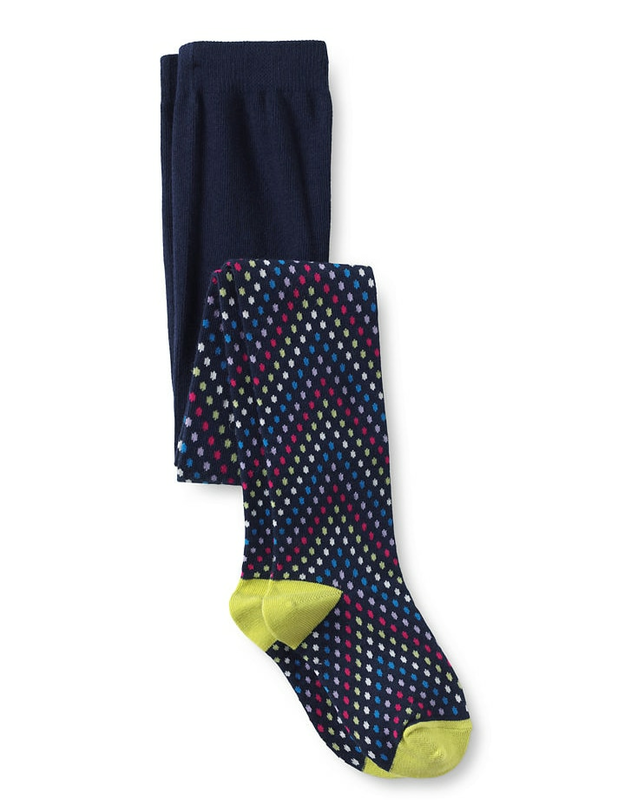 The iron-free material is wrinkle-resistant and releases stains in the wash. Plus, the fun shape gives it a twirly, girly feeling. 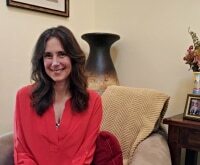 A jumper is a great layering piece that easily transitions from warmer to cooler weather – it can be paired with anything from a short-sleeve polo to a long-sleeve blouse and still look adorable. 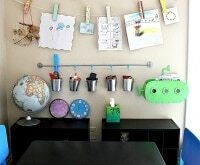 A smart way to save when shopping for school uniforms is to opt for multi-tasking items. This basic cotton sweatshirt will keep them warm indoors, but doubles as a lightweight jacket for recess – it’s even made from a water-resistant fabric for when they’re dashing from the playground indoors in the drizzle. 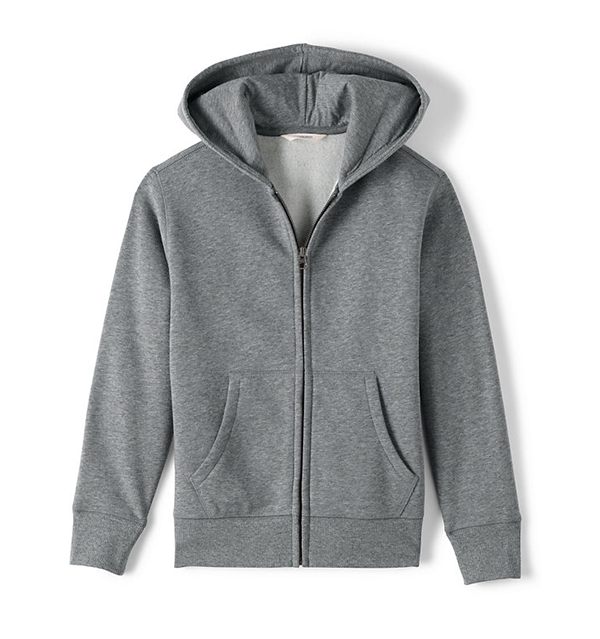 If the school offers some latitude with sweaters, this zip-up option is a must-have. It’s warm enough to function as a jacket in the fall months, and the knit fabric feels more polished than fleece or sweatshirt material. 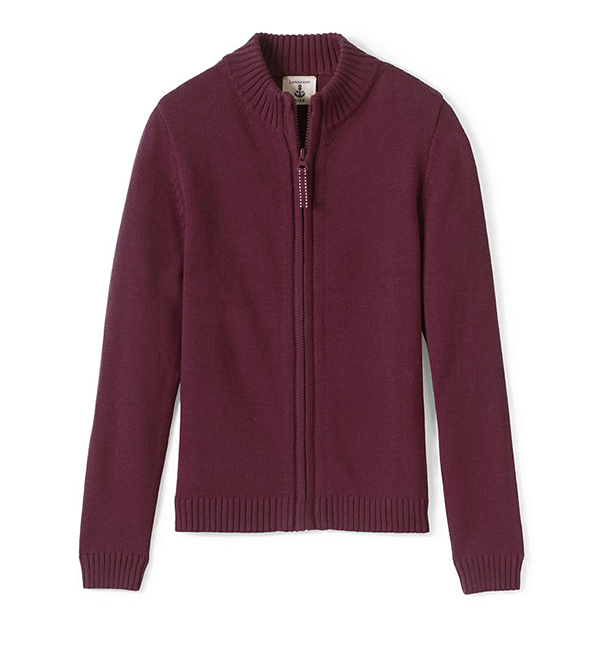 Plus Lands’ End signature Drifter cardigans are knit to fit, meaning no bunching or stretching out over time. 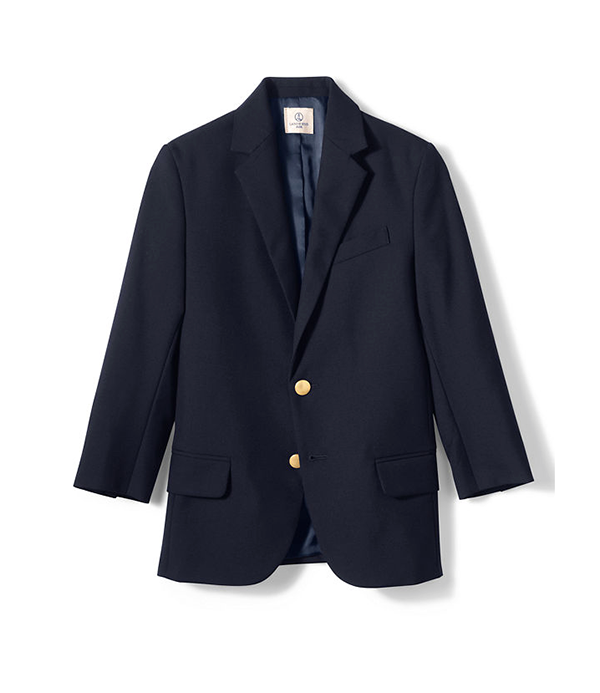 Most schools don’t make blazers mandatory, so most parents skip them. However, don’t be so quick to breeze by the blazers. If you’ve got formal occasions like a wedding, holiday event, or performance, your child’s school jacket can easily pull double duty. Many schools have a relatively flexible policy when it comes to footwear. Go for something comfortable that can take them from the school bus to recess to the classroom with ease, like these versatile slip-ons that toe the line between formal and sporty. If she puts up a fuss about having to dress in a uniform, put a smile on her face by adding a little sparkle to her ensemble. 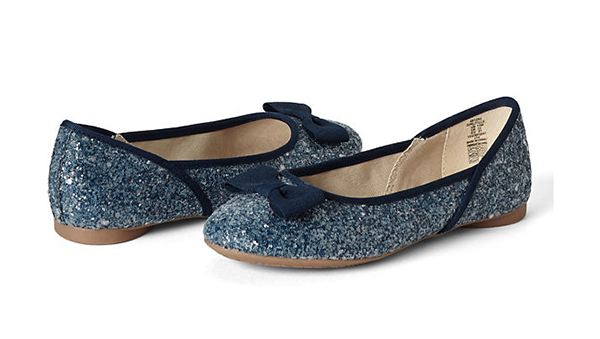 These sweet ballet flats come in four dazzling hues and are finished off with a picture perfect grosgrain bow. 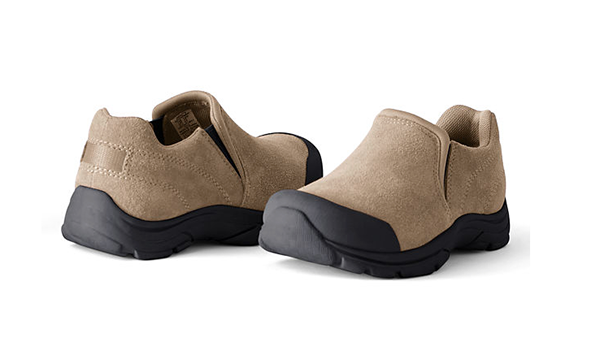 Don’t forget about transitional shoes for colder weather. If the school allows it, invest in a fashionable pair of boots that will keep her warm from the bus stop to the classroom to recess. 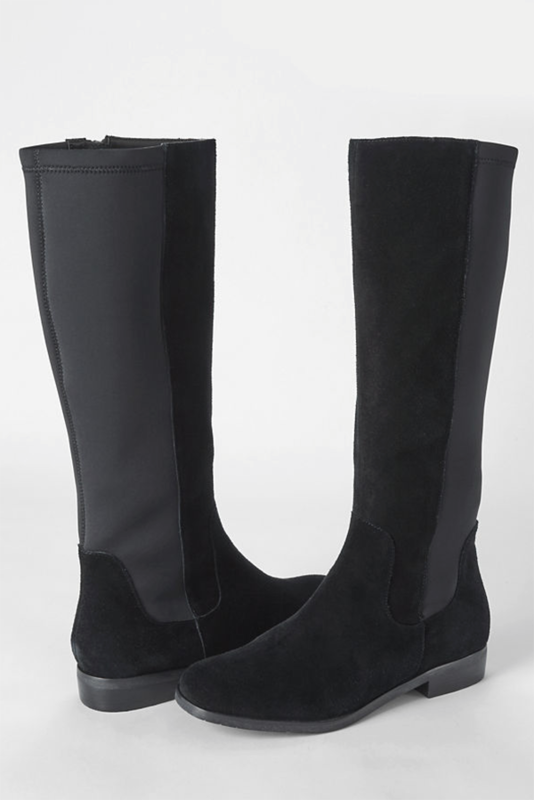 The stretchy panel in these boots is an extra benefit to keeping up with her changing shape.